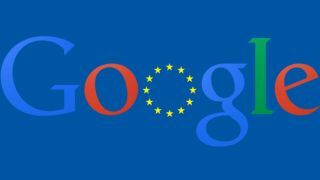 It looks like the European Union ruined Google's holiday season, as it has rejected the search giant's concessions to settle its EU antitrust investigation. Google, in its 3-year-old antitrust fight with the European Union, is running out of time to find a suitable offer in the eyes of EU antitrust chief Joaquin Almunia. "The latest proposals are not acceptable in the sense that they are not proposals that can eliminate our concerns regarding competition," he said in a Spanish radio interview today. The most recent offer would have changed the way users see Google's competition show up, according to Reuters. What's more, Google would have allowed its rivals to display their logos and make their web links more prominent to users. It was also willing to cut the minimum bids for advertisements and relax conditions that prevented advertisers from moving their campaigns to rivals like Yahoo and Bing. Apparently, the concessions weren't enough. Google is willing to make these concessions because it faces a fine of up to $5 billion (about £3.06b/AU$5.63b) if it doesn't find a solution to settle the antitrust verdict. It still has time to remedy the situation, though. In the same radio interview, Almunia noted that sanctions against Google aren't happening just yet. "No, no, no ... At this moment, there is little time left, but the ball is still in Google's court," he said. "But within a short time frame the ball will then be here [with the European Commission] and then it will be the moment to take decisions." Google also faced antitrust violations in the US from the Federal Trade Commission, but the FTC didn't exactly sink its teeth into the Mountain View, Calif.-based company in the end. However, Almunia isn't backing down. In fact, it's pressing the company to address the EU's concerns of having rivals show up in vertical searches for results that include products and restaurants. In response, Google told Reuters, "We've made significant changes to address the European Commission's concerns, greatly increasing the visibility of rival services and addressing other specific issues." Read: Google approves the world's first CyanogenMod phone, ships December 24.